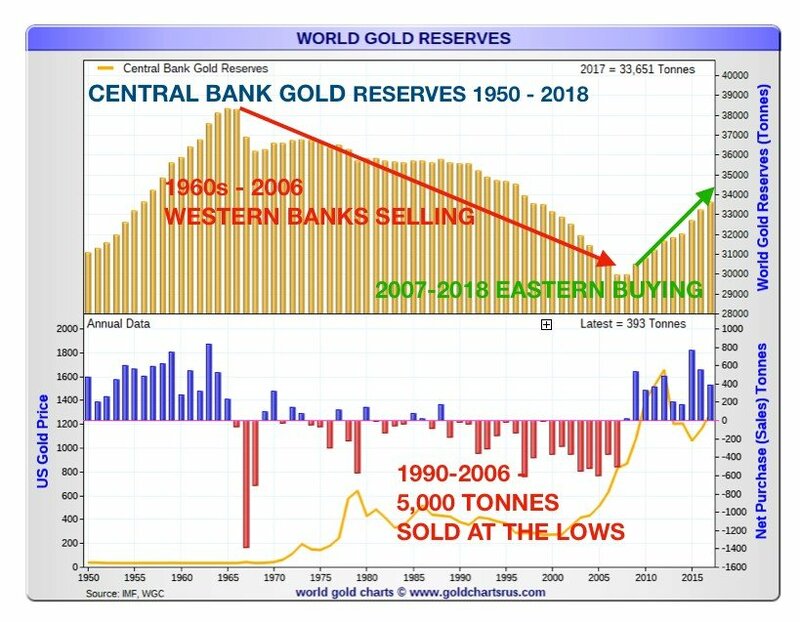 Western central banks are clearly still reducing their physical gold holdings. 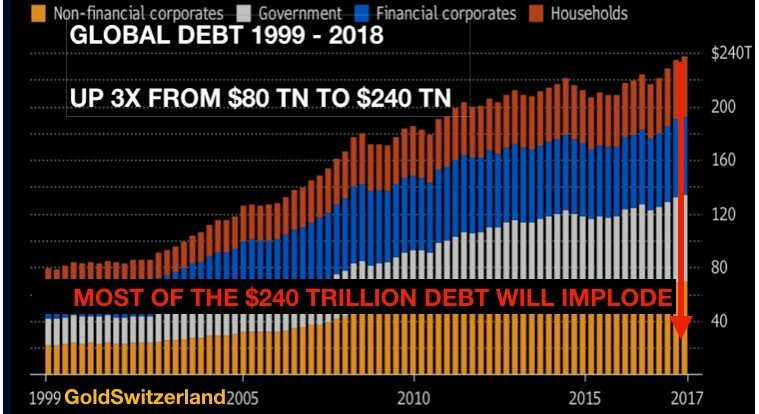 We see regular high exports coming out of the UK. 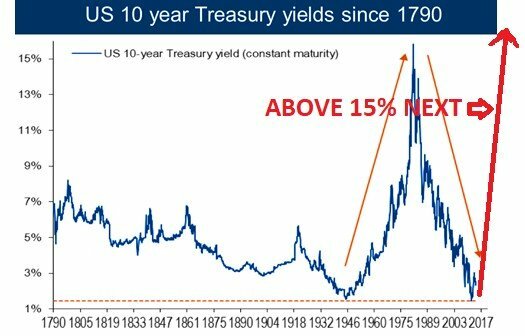 There are no gold mines of any significance in the UK. 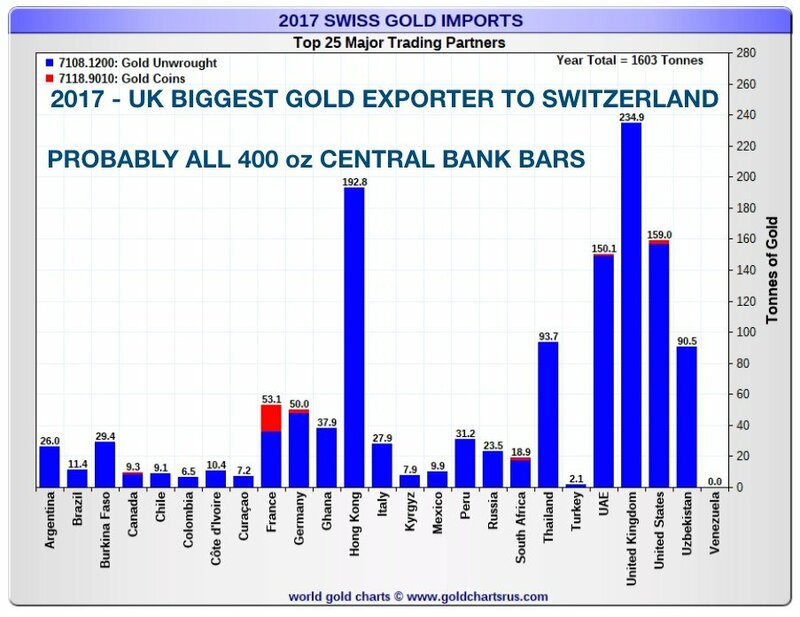 So the exports are clearly central bank gold held in London which is either leased to the market or sold covertly. 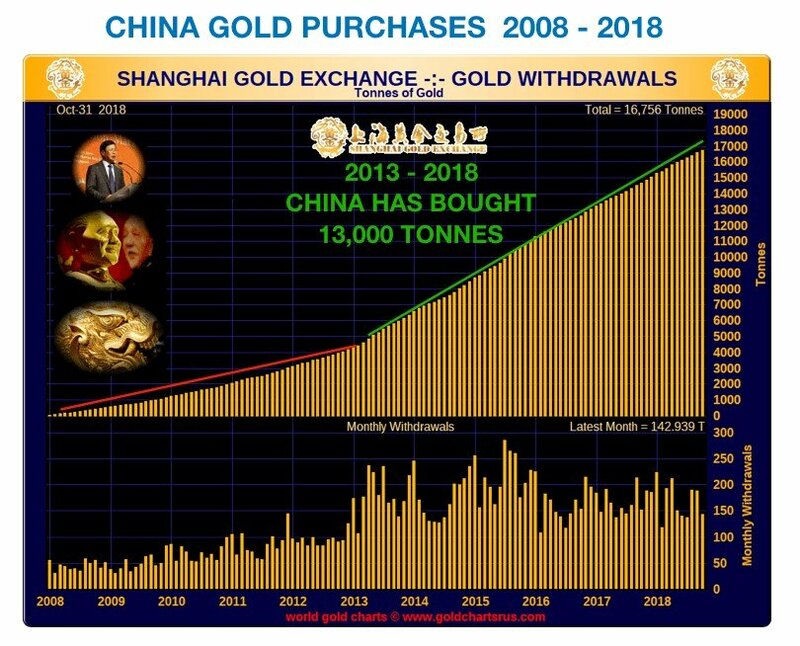 This gold is bought by primarily China and India who ship the 400 oz bars to Switzerland to be broken down to 1 kg bars for onward export to the East. 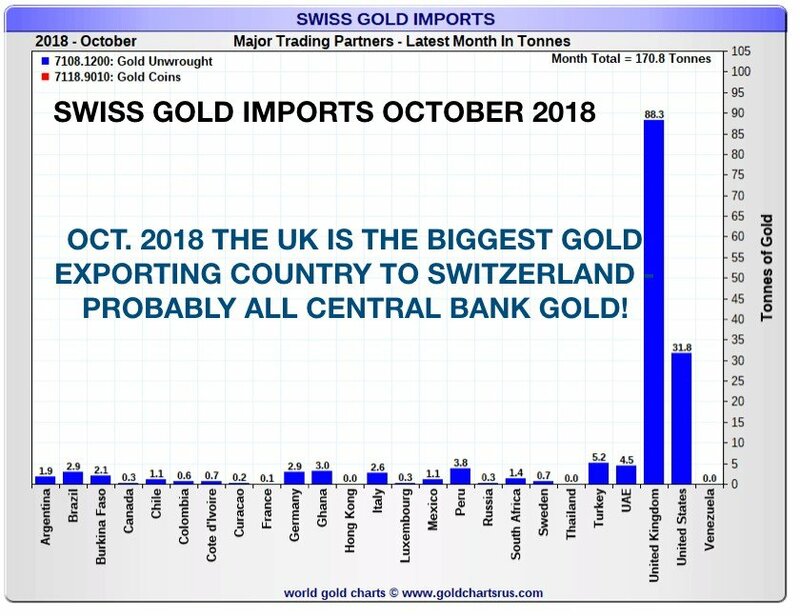 The chart below show that the UK exported 88 tonnes to Switzerland in October and the US 32 tonnes.